Inspired by my younger brother's recent graduation, styling my boss and shopping for the mr., I felt it was time to honor one of the most underused, understated yet essential accessories, The Pocket Square. 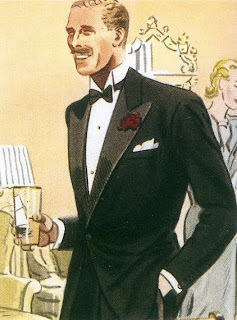 While there are a few known required details to a man's polished look, such as proper tailoring, being skilled at tying a tie, and the perfect shoes, when I see young men gearing up to paint the town red or attend a special event, the pocket square most often is ignored. Similarly to how I feel that a scarf is a perfect accessory that women should have in their closet, a pocket square can brilliantly add that touch of "je nais se quoi" allure to an already smashing jacket. 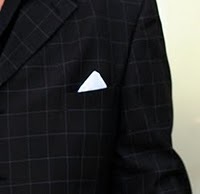 One of the most popular folds for the pocket square with business suits and tuxedos is the one point pocket square fold. Simple, classic and works well with textured or monogrammed squares. 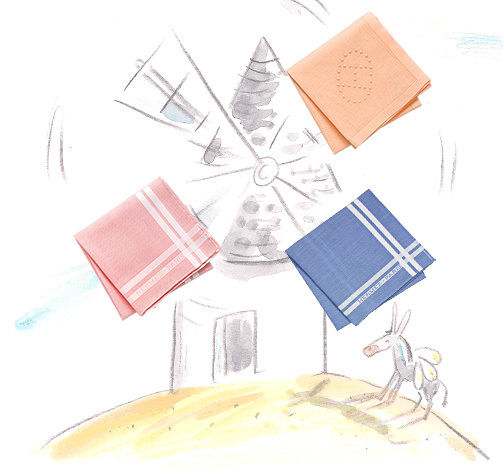 One example would be the Hermes linen pocket squares, that has a line detail and the subtle text of "Hermes Paris". The one point fold, would allow for the more of the linen texture to show, while also allowing a bit of the logo to peek out of the pocket. 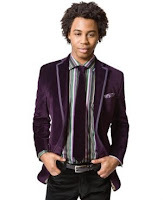 For the casual and less corporate style blazers, especially in velvet, I love a slight puff style with a patterned silk pocket square, or the three point fold. 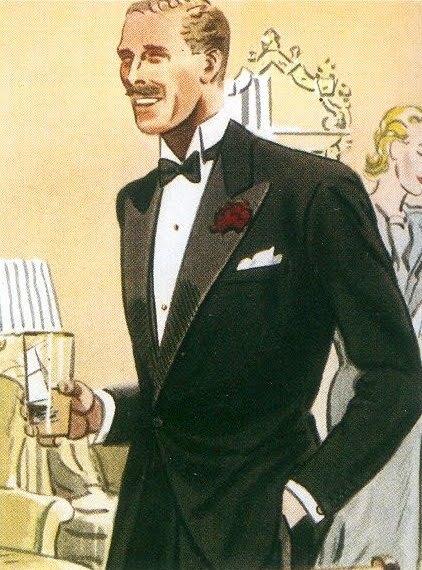 Just like how a woman's shoes doesn't have to match the handbag she carries, I find that matching the pocket square and the tie unnecessary unless a certain look is being desired. Sometimes a vibrant yellow or orange pocket square is the perfect accent to a fully monochromatic look. While I always write my fashion finds and loves for women, this was one accessory that I felt more men should enjoy more often and even women. I'll find anyway to use a scarf when presented with the opportunity. Here's a great site offering many ways to fold a pocket square. Paul Smith (not a huge selection, but quirky, colorful and unique also roughly only $40) his cuff-links are my favorite.